Why? 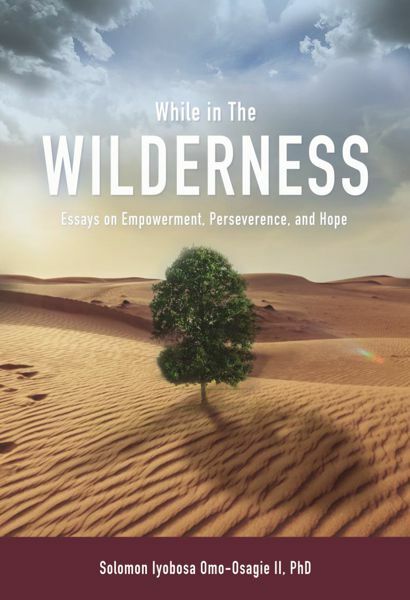 Because every child of God goes through times of uncertainty and challenge, times in the “wilderness” when it feels as though God is silent or far away. But is He? Dr. Solomon Iyobosa Omo-Osagie II shows us that during those times God is actually very active, working on behalf of His children—teaching, leading, guiding—redeeming the uncomfortable times While in the Wilderness with renewed strength, stamina, and hope. Dr. Omo-Osagie knows those times because he’s lived them. Difficult early years in his native Nigeria, a move to the United States as a pre-teen, and now his multidimensional role as a respected and award-winning college pro-fessor, pastor of a church of unique substance in Maryland and overseer of dozens of churches in Kenya—all have given the author the solid faith of one who walks with God through tough times and victorious times. Colleagues and international spiritual leaders agree, this is a book that Christian believers need when the way grows dark and hard. This book is evidence of how our omnipotent, omniscient and omnipresent God can take us through the hard and difficult places in life to a place of God-ordained destiny and purpose. Dr. Solomon Omo-Osagie has given us inspiration for the dark seasons of our lives. I found myself enthralled by Dr. Omo-Osagie’s transparency. Dr. Solomon Omo-Osagie's latest work is an honest reflection of how each of us can live a God-centered life while going through the wilderness. This is a must read … one will be led to discover a real anchor in all circumstances, presented in very clear and irrefutable terms. Solomon Iyobosa Omo-Osagie II, PhD is an ordained clergy in the Church of God in Christ (COGIC). 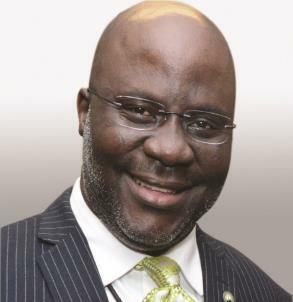 He is the founder and pastor of Impact Pentecostal Fellowship in Maryland and Kenya, East Africa, and serves as elected Chairman, Greater Maryland First Ecclesiastical Jurisdictional Council of Pastors and Elders. A recipient of numerous national awards, he is also a member of the Omega Psi Phi Fraternity, Inc. He is a distinguished professor of political science and history at Baltimore City Community College and resides in Maryland with his wife and two daughters.